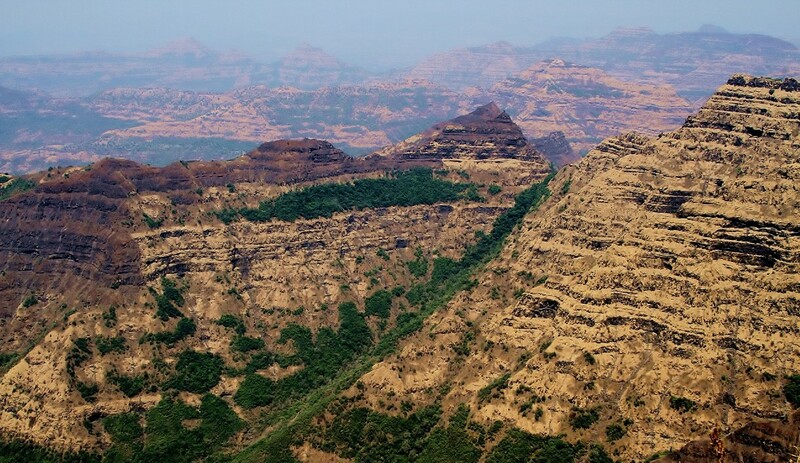 The Western Ghats in India is the result of an earth fault that formed a steep slope on the western side the Deccan Plateau and created the much lower Konkan Coast of India some 150 million years ago. Soil erosion over millennia resulted in the formation of a string of mountains and hills that run parallel to almost the entire west coast of the country. Also called the Sahyadris (Benevolent Mountains) and the Great Escarpment of India, they are older than the great Himalayan Ranges. Recognized as one of the eight “hottest hot spots” of bio diversity in the world, it is a UNESCO World Heritage Site. The 994 miles long range covers an area of 61,776 square miles and runs through the states Gujrat, Maharashtra, Goa, Karnataka, Kerala and Tamil Nadu, at an average distance of 19 miles from the coast. It is a large catchment area, and forms rivers and rivulets that drain 40% of India. With over 5,000 species of flowering plants, 139 species of mammals, 508 species of birds, 179 species of amphibians, and 288 species of fresh water fish, among them 325 globally threatened species, it is a vast ecosystem that is seriously threatened by human intervention and pollution. The Ghats encompass several wildlife sanctuaries, national parks, and forest reserves, 39 of which have been designated as world heritage sites. The Western Ghats start with the Satputra Range in the south of Gujrat and the north of Maharashtra, through Goa, Karnataka, Kerala and ends in Tamil Nadu almost on the southern tip of India. Pune in Maharashtra is the biggest city in the Ghats. Further south there are the Nilgiri Hills and the Anaimalai Hills. There are a few gaps in the ranges, the major gaps being the Goa Gap and the Palghat Gap between Nilgiri Hills and the Aanaimalai Hills in the south. The coastal plains formed by the Ghats are called the Konkan Coast in the north and the Malabar Coast in the south. The Range serves as both a precipitation and a condensing engine for the subcontinent, making it an area of high rainfall. The high mountains intercept the water laden clouds coming in from the ocean, with the Southwest Monsoons, and cause them to rise and condense. This results in heavier rainfall on the side of the Arabian Sea, or the windward side. In the warm climate, the dense foliage of the forests of the Ghats replenish the atmosphere with moisture through transpiration, which will condense and fall as rain again. 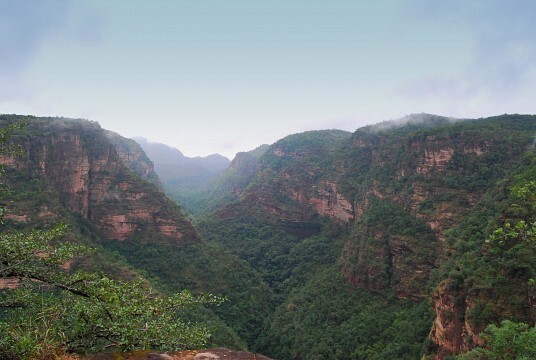 The tropical and sub-tropical moist deciduous forests and the montane forests of the northern and southern regions of the Ghats divided the range into four distinct broad-leaf forest eco-regions. The southern forests, south of the evergreen forests of Wayanad, receive more rainfall than the north and support more diverse species of flora and fauna, and are home to eighty percent of the flowering plants of the ecosystem. The climatic conditions in the Ghats vary widely going from the north to the south, and also depend on the altitudes. The annual average annual temperature is 75 °F in the north and 68 °F in the south. Above an elevation of 4,921 feet, the climate is temperate, while below that it is more tropical, moist, and humid. The average rainfall on the windward side of the range is between 3,000 to 4,000 millimeters, with some spots getting as much as 9,000 millimeters of rain during the monsoons which last from June to September. On the Deccan Plateau side the average annual rainfall is around 1,000 millimeters. The southern areas get longer spells of rain than the north of the range. 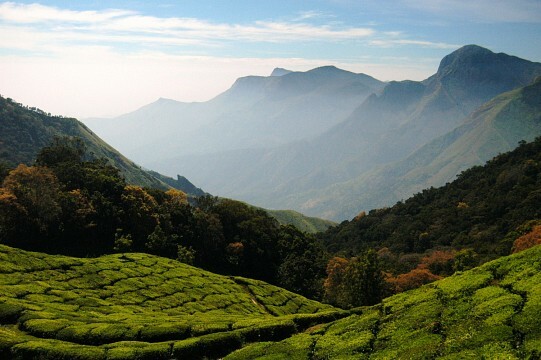 The highest mountain is the Western Ghats is Anamudi, in Kerala at 8,842 feet high. Along the range there are 14 peaks that are more than 6,562 feet high and over a score that are over 3,281 feet. These mountains and the hills have facilitated the construction of several lakes and reservoirs. Ooty , Kodaikanal, Berjiram, Pookode, Devikula, and Letchmi Elephant are all man-made lakes in the hills almost all of them in the hill stations. The Kaveri and the Krishna River that originate in the Ghats have reservoirs across them that generate power hydroelectrically and irrigate their basins. Of the 22 reservoirs built across the rivers and rivulets of the Ghats, Lonavala, Walwahn, Mukurti, Upper Bhawani, Porthumund, Parson’s Valley, Emerald, Pykara, Avalanche, Glenmorgan, Sandynulla, Madupatty and Kundally have water sports and sport fishing facilities. The mountains are home to numerous hill-stations like Lonavala, Khandala, Matheran, Mahabaleswar and Amboli in the north and Kudremoukh, Kodagu, Waynad, Ootacamund (Ooty), Kodaikanal, Thekaddy and Nelliapathy in the south. These hill-stations, most of them frequented by the British occupiers looking for cooler climates during the hot Indian summers, are now widely sought after by tourists, both local and foreign. 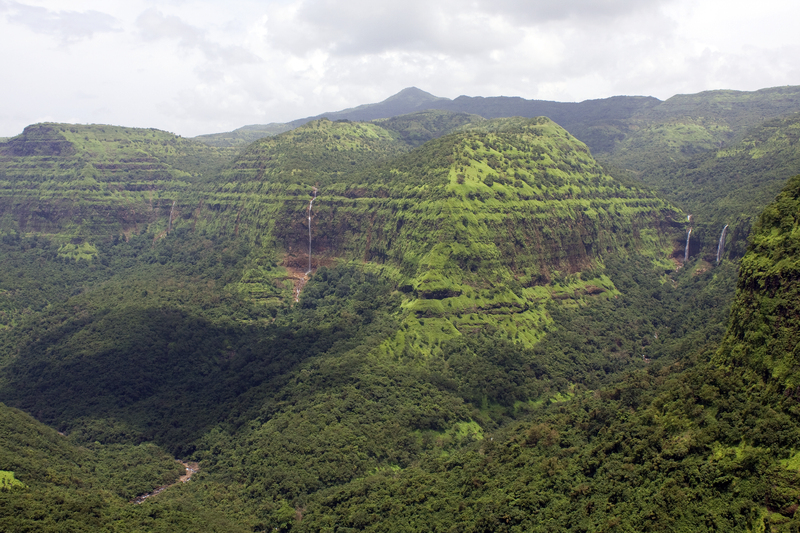 Mahabaleshwar is perhaps the most popular hill station in the Ghats. 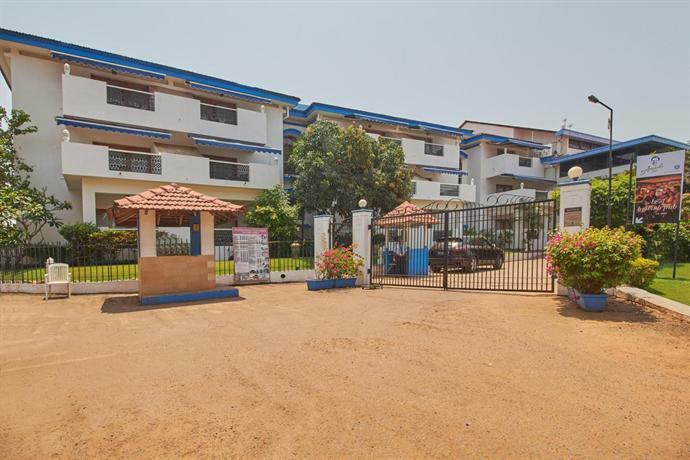 It is close to the big cities of Pune and Mumbai and has very good infrastructure. 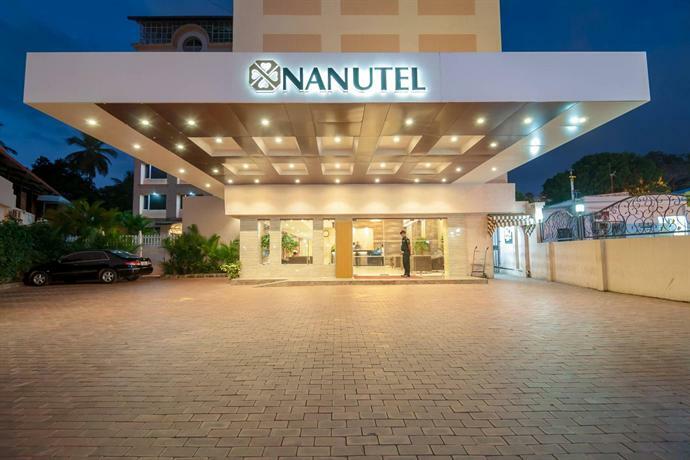 Established by the British, it is 163 miles away from Mumbai , 78 miles from Pune and 236 miles from Panaji in Goa. Not far from the highway, one can reach Mahabaleshwar at 31 miles per hour on an average. Other hill stations around Mumbai are Lonavala, Khandala and Matheran, all approximately 50 miles away. 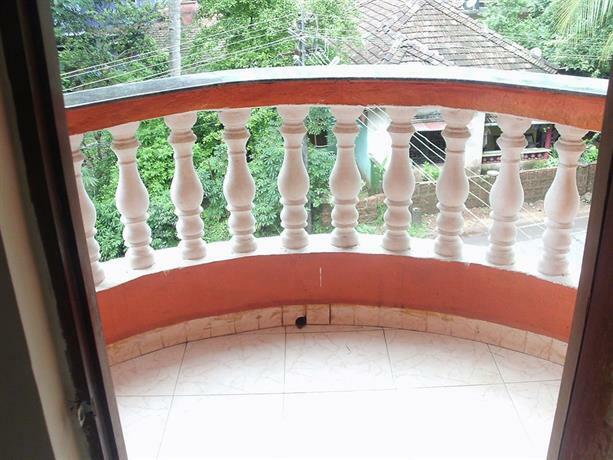 In South Maharashtra is Amboli, 19 miles from Sawanthwadi, 391 miles from Mumbai, and 56 miles from Panaji. 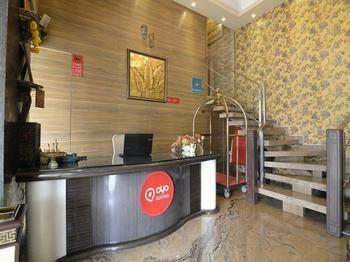 In the south Ootacamund, more popularly known as Ooty, is the favorite among tourists in the summer. At a distance of 50 miles from Coimbatore by road, the hill station can also be reached by a Meter Gauge rail track that has been declared a World Heritage site by UNESCO. Ooty is famous for its tea plantations and some blends compete with teas from Darjeeling. Conoor, Wellington and Kotagiri are satellite hill stations close to Ooty. Madikeri in the Kodagu district of Karnataka has been getting more attention over the past decade. At 86 miles from Mangalore, the place is scenic with lush forests, sprawling coffee gardens, black pepper vines, cardamom trees and the well known “Coorg Oranges”. The locals are called “Coorg” and their cuisine is something one should not miss. The other hill stations (and there are many more) though less popular, are no less enchanting. Many of them provide good trails for trekkers and adventure seekers. It is, however, difficult to negotiate the roads and the terrains during the rainy season from mid June to September and visitors should seek advice locally. Very often, the last leg of the journey to a hill station, even in summer, is treacherous and the best option is to either hire a vehicle for that stretch or hire a local driver available at the foothills of many destinations. The rivers that originate in the Western Ghats flow across the breadth of India and drain into both the Bay of Bengal and the Arabian Sea. Those that flow west into the Arabian Sea are fast flowing because of the gradient and the short distance that they travel. Among these are Periyar, Bharathapuzzha, Seravati, Netravati, Mandoviand Zuari Rivers. Tunga, Bhima, Bhadra, Malaprabha, Hemavati, Ghataprabha, and Kabini are the rivers that flow across the Deccan Plateau and into the Bay of Bengal. There are several other smaller rivers. The speed with which the water flows along the steep slope of the mountains has made it possible to erect 50 major dams across the rivers. The most important among these are the Koyna Dam, the Idduki Dam and the Linganmakki Dam, all of which generate hydroelectric power. Other major dams are the Parambikulam Dam and the Mullaperiyar Dam. 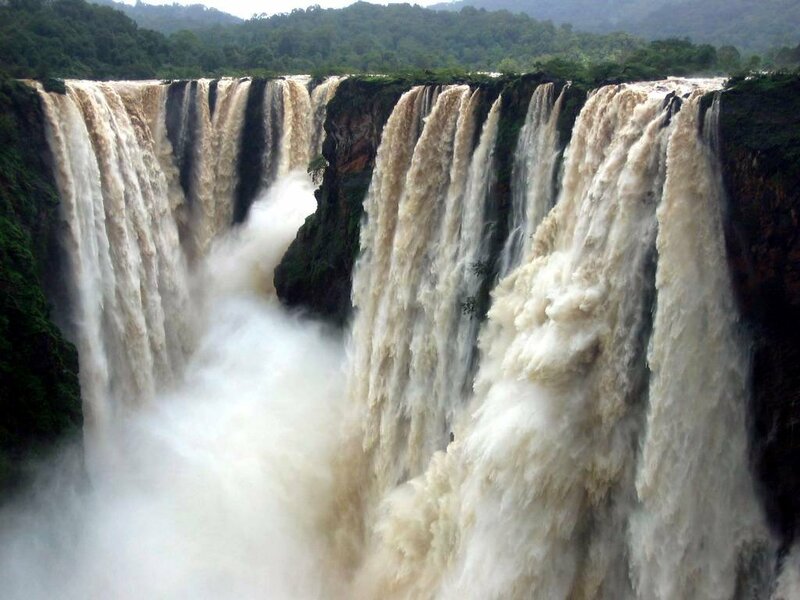 Jog Falls, Kunchikal Falls, Unchalli Falls and Dudhsagar Falls are the most popular of the numerous waterfalls in the Western Ghats, all of them visited by hundreds of thousands of tourists every year. The Western Ghats is home to at least 5,000 species of plants, of which more than 1,500 are endemic to the region. Jamun, teak, cashew, coral tree, hog plum, crossandra, and jasmine are some of the species that are indigenous to the region. Of the 450 flowering plants found in the forests of the range, almost 200 are endemic. Rampant clearing of forests for tea and coffee plantations, and cash crops like areca nut and rubber plants has put several species of plants on the brink of extinction. 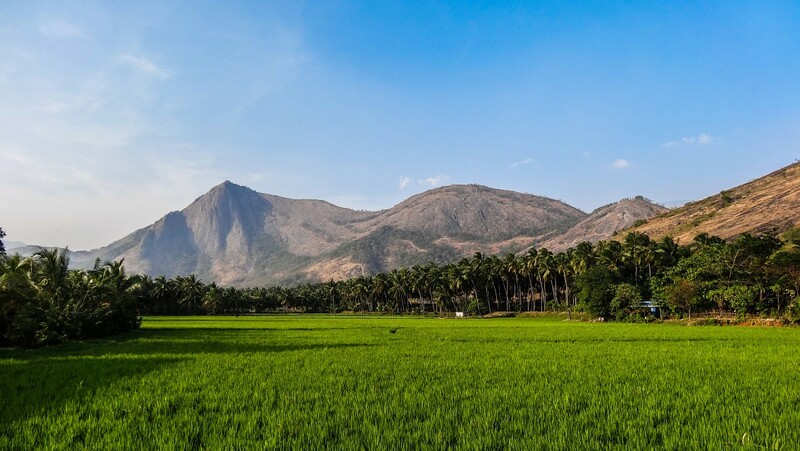 The Silent Valley and the Agashyamalai Hills are two of the main diversity centers in the range. The Nilgiri Biosphere Reserve, spread over 2,124 square miles is the largest expanse of contiguous forest reserves and includes the deciduous of Bandipur National Park, evergreen forests of Nagarahole, along with the forests of Wayanad, Mukurthi National Park and Mudumalai National Park. The Western Ghats Is home to 325 globally threatened species of mammals, reptiles, amphibians, and fish. Of the mammal species 32 threatened, are 13 of the 16 species of endemic mammals. More than 140 species of mammals live in the Ghats. Among the critically endangered mammals is the Malabar large-spotted civet. Others like the lion-tailed Macaque are listed as endangered. Wild life corridors have been established in a bid to allow migration of Asian elephants and Bengal tigers which are also endangered mammals. The largest bovine on earth, the Gaur or the Indian bison also needs protection. The depletion of forest cover and poaching has put to risk species like the leopard, tiger, sloth bear and the wild boar. Theobald’s tomb bat, Wroughton’s free tailed bat and the Large False Vampire bat are found only in a few places. The region is the only home to the Uropeltidae class of non-poisonous snakes, other than small areas in Sri Lanka. The King Cobra is extensively found in the area. 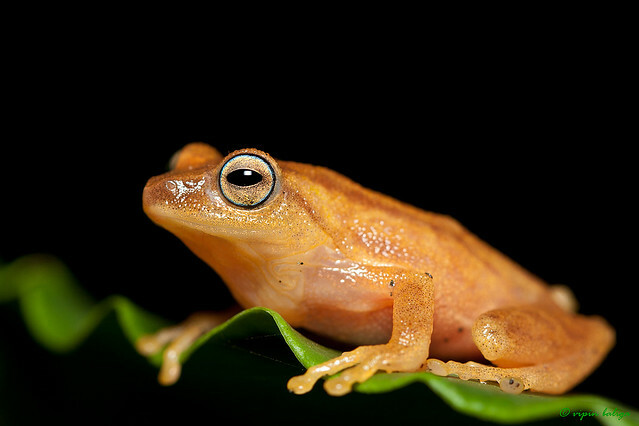 Over 140 of the 179 species of amphibians are endemic to the ranges. Among the endangered species is the purple frog. Four new species of frogs were discovered in 2005. In the waters of the Western Ghats and its rivers are 288 different species of fresh water fish. Twelve of the 118 endemic varieties can be found only in the Western Ghats. Birds are a major attraction of the Western Ghats. Among the birds at risk are Rufous-breasted Laughingthrush, White-bellied Shortwing, Nilgiri Wood-pigeon and the Broad-tailed Grassbird. 600 species of insects inhabit the mountains and hills of the ranges. Many of these are at risk because the plants they depend on are being cut for agriculture and development. The result is that the plants themselves are further endangered because they depend on the insects for cross pollination and reproduction. The Western Ghats are so diverse that they offer 994 miles of something for everyone. From the beaches on the Arabian Sea Coast to the water falls and the misty hill stations in the higher reaches of the mountains, they are a delight. The trekker can choose from thousands of sites, and the environmentalist, the zoologist, the botanist, and the bird watcher will have their hands full. Many lakes and reservoirs have facilities for water sports and sport fishing. There are innumerable places in the Western Ghats that make good picnic spots for groups and families. With newer species of plants and animals identified frequently, and still more believed waiting to be discovered, there are few other places in the world that arouses ones curiosity as does the Western Ghats. Most places that tourists opt to visit are well connected by road and most have a railway station close by. Going from north to south, the international airports closest to the Western Ghats are the Sardar Vallabhbhai Patel International Airport, Ahmedabad, Gujrat, the Chatrapati Shivaji Maharaj International Airport, Mumbai, Maharashtra, the Goa International Airport, Goa, the Kempegowda International Airport, Bengaluru, Karnataka, the Mangalore International Airport, Karnataka, the Coimbatore International Airport, Coimbatore, Tamil Nadu, and the Cochin International Airport, Cochin, Kerala. Places in the higher reaches of the mountains will require one to use a SUV and some others will need drivers who are familiar with the terrain and the roads. More often than not, one can either hire a vehicle or a driver for the difficult last leg of the journey. Daily and periodic tours are conducted by private operators and state governments to places of interest. Accommodation is available, but understandably some of the places in the mountains could be at distance from the place that one stays at. Most of the sites are within 124 miles of an airport. Gujrathi, Marathi, Konkani, Kannada, Malayalam and Tamil are the languages spoken from the north to the south. But most people in the tourism industry can communicate in English. Western Ghats. 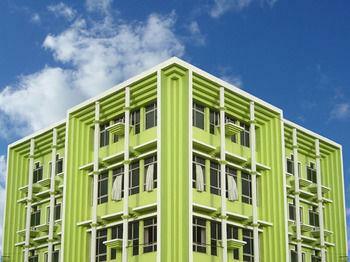 Photo by Sean E.